Since its inception, the Tutorial Guides in Electronic Engineering series has met with great success among both instructors and students. 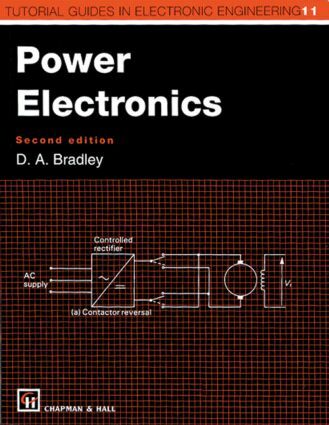 Designed for first and second year undergraduate courses, each text provides a concise list of objectives at the beginning of each chapter, key definitions and formulas highlighted in margin notes, and references to other texts in the series.This volume introduces the subject of power electronics. Giving relatively little consideration to device physics, the author first discusses the major power electronic devices and their characteristics, then focuses on the systems aspects of power electronics and on the range and diversity of applications. Several case studies, covering topics from high-voltage DC transmission to the development of a controller for domestic appliances, help place the material into a practical context. Each chapter also includes a number of worked examples for reinforcement, which are in turn supported by copious illustrations and end-of-chapter exercises.